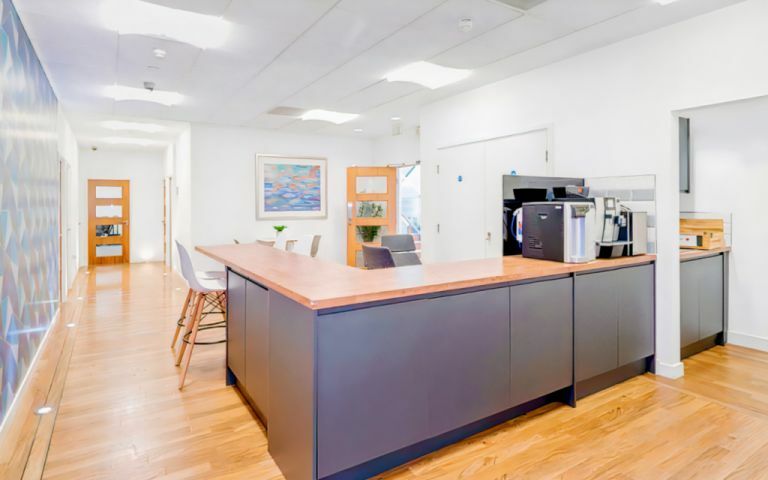 We offer the most up-to-date and technically advanced serviced offices in Milton Keynes. It is situated within the Vizion development in the central business district, which includes 575 free visitors' parking spaces. Constructed in 2009, the building has been independently rated BREEAM Excellent (which means it is a highly efficient Green building), yet it is fully air-conditioned with state of the art technology that includes access to limitless bandwidth, 21st century telephony with DATA support and 24/7 access. The Milton Keynes serviced offices boast a great location, located a mere 7 minutes walk from the main station, then 35 minutes to London, 55 minutes to Birmingham and 1 hour 38 minutes to Manchester.